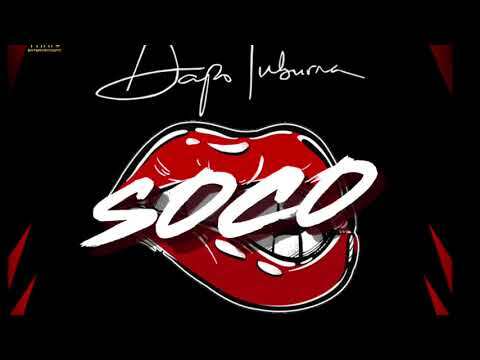 Tinny Entertainment‘s ever buzzing Afro Pop sensation, Dapo Tuburna adds even more life to Wizkid’s blazing tune, “Soco.” The original effort featured Starboy Worldwide acts Ceeza Milli, Spotless and Terri. With the music video of “Soco” hitting online platforms, Dapo Turbuna looks to bank on the buzz with “Soco (Cover)” that bangs just as hard as its original version. As he goes on to lace the joint with some street-savvy, wavy and groovy vibes, he sought the production artistry of Lennon Beatz to ensure this latest piece gains even more traction. The original version of “Soco” was produced by Northboi. In the end, Dapo Tuburna is set to continue on his roll on the circuit having launched such buzzers as “African Lady,” and “Nothing Remix” alongside label mate, Ycee and YBNL Boss, Olamide. “Soco (Cover)” is just about the chill and comic twist you can expect for an exciting mid-week and even the banger for the weekend of groove and jolly. Even Wizkid must have been thoroughly impressed. You definitely need to jump on the trends as “Soco (Cover)” continues to enjoy its share of the buzz and mentions. Simply stream, download, then share your thoughts and opinion in the comments section below.